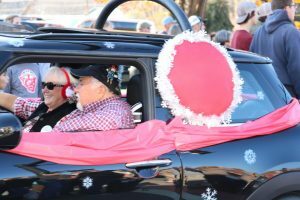 We’re changing things up and participating in the Hendersonville Christmas Parade this year. There is a 20 MINI limit, so we are collecting a refundable $10.00 deposit to hold your place. Please make sure your MINI is nicely decorated . 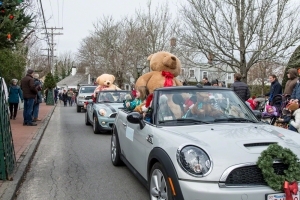 Appalachian Mountain MINIs will be parading our holiday decorated MINIs in the parade so plan ahead to have the best Christmas themed MINI on the street. 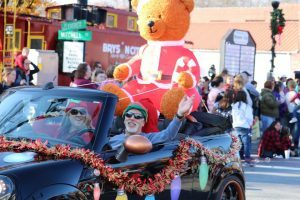 NOTE: There is only one Santa Claus permitted in the parade. So any costume, figurine, blow up or depiction of Santa is NOT permitted in your decoration. (Santa hats are OK). There is NO candy throwing or allowing people to come up to your MINI. We be looking for volunteers to walk and hand out candy. Register your MINI below and start planning your decorations !! At the end of the parade we will get our MINIs “Road Worthy”. Then we will make the run to the Lake Lure Inn, arriving about 12:30 ish. If folks are up for it, we can do a group lunch at La Strada at Lake Lure while we want to for our rooms to get ready. After checking into your rooms, we can mingle at the hotel bar until the dinner & party starts.